Currently a three-Alaskan team, we are working hard to share the fruits of our labor. Gene is the brain, the backbone, the wisdom and the courage behind Common Ground Alaska. He runs the farm, takes most of the photos, and is the eyes behind the design. Besides farming, Gene loves hiking, time with family, and doing most anything outside. Tandy is the visionary and the voice behind the scenes. As the marketing and media director, she is the primary one you will talk to both online and in person. To read more of her writing you can visit her website at www.ordinarylifeextraordinarygod.com. Abbi works hard to keep things fun around the farm. She is also the brain behind the name. She is the sunshine when our skies are gray and the first to step in when someone needs help. She is passionate about animals and loves spending time with her friends, crafting, and watching Little House on the Prairie. What makes Alaska so alluring is also what makes it such a harsh place to live. We are excited to have the opportunity to build a community of people who are thriving in the Last Frontier. By embracing our climate, we are learning how to grow plants that will fluorish in our soil. Our weekly show features folks like YOU who want to share your gardening tips and solutions with others in the community. 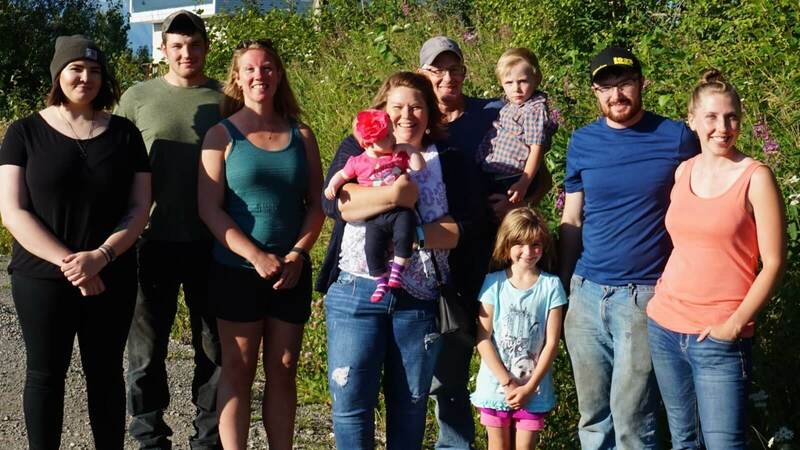 A farmer, his adoring wife, four amazing kids, two wonderful daughters-in-law, two adorable grandchildren, three crazy dogs and a cat who thinks he is a dog. 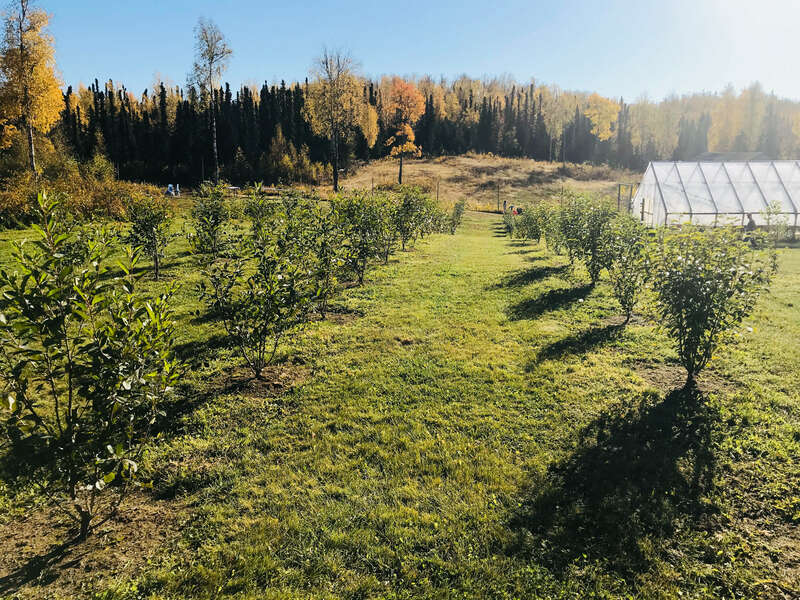 What started as an accidental CSA has turned into several acres of orchard and the reality of living your farmer's dream of owning and running his own farm. By learning from folks much wiser than us and through trial and error, we are learning to embrace our Alaska climate instead of fighting it. Our passion is helping others plant successfully. Currently we have honeyberries (haskaps), currants, saskatoon berries, cherries (bush cherries and traditional cherry trees) and apples in the orchard. We also grow seasonal produce including strawberries and cantaloupe.